Ever wondered how to make coloured sand? 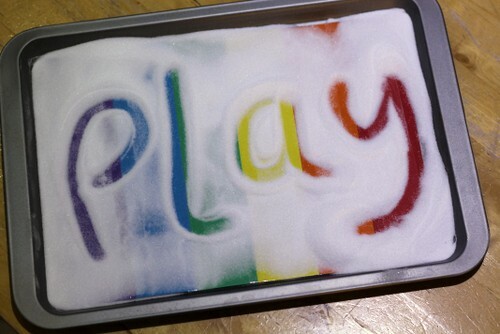 It’s quick and easy and a great recipe for sensory play and kids art activities. 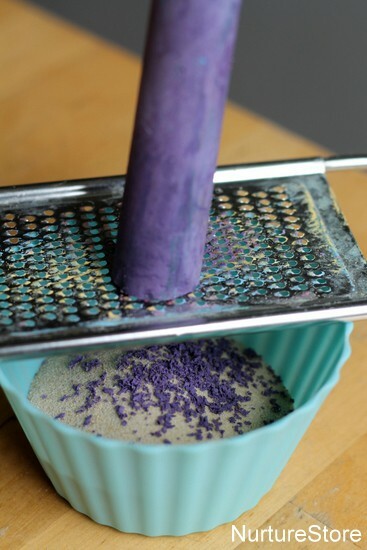 Here’s my DIY coloured sand recipe along with some ideas for how to use it for play and art. 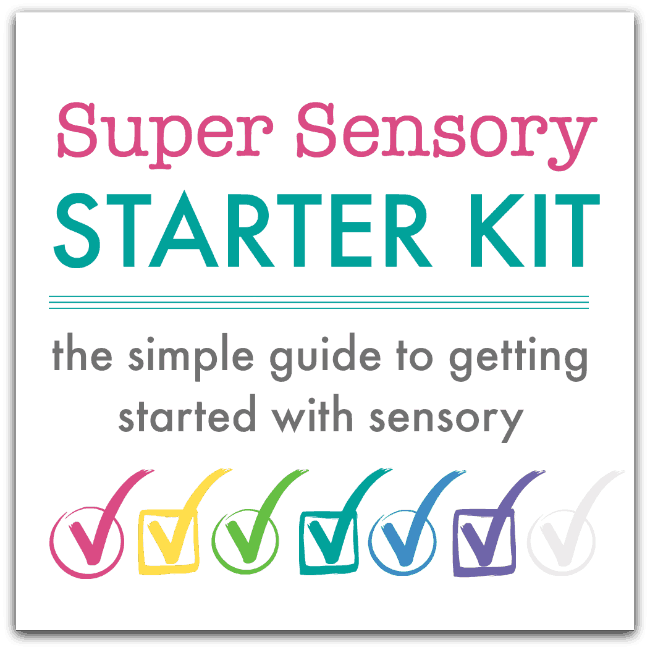 >>> get your Ultimate Guide to sensory play here! 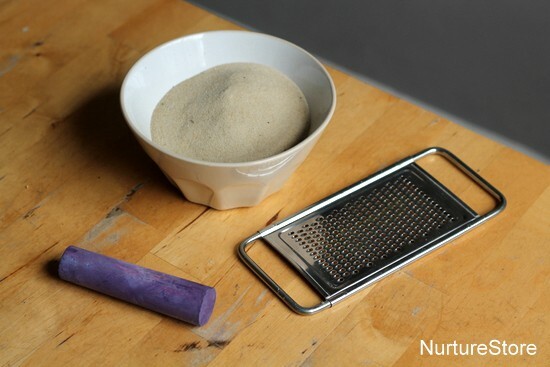 You might not believe quite how easy it is to make coloured sand. All you need is some play sand, some chalk and a grater. And all you have to do is grate the chalk into the sand, give it a good swoosh around to combine the two ingredients, and you’re done. 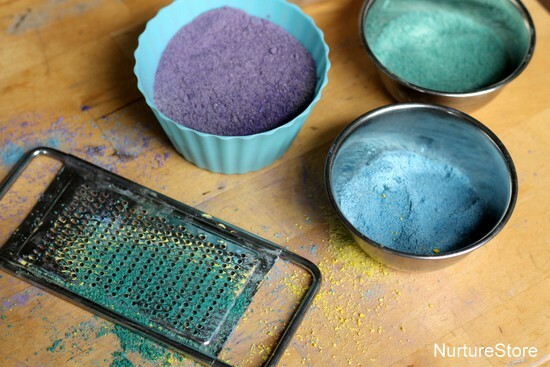 Hey presto… lovely coloured sand, ready for sensory play or art. One thick stick of outdoor chalk gave us a good colour for a small pot of sand – so scale your recipe up or down depending on how much sand you want to colour. 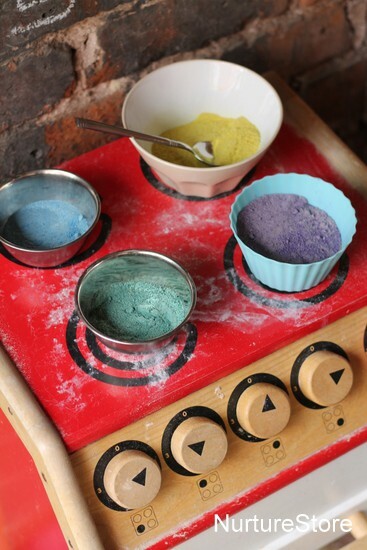 You could try some colour mixing – perhaps see if blue chalk and yellow chalk really does turn green. And you could add glitter, or dried herbs, or some ground spices to boost the sensory experience. Does the colour come off on your hands? Nope – not any more than plain sand covers your hands in play. You’ll need to wash your hands afterwards, just as you would with any sand play. 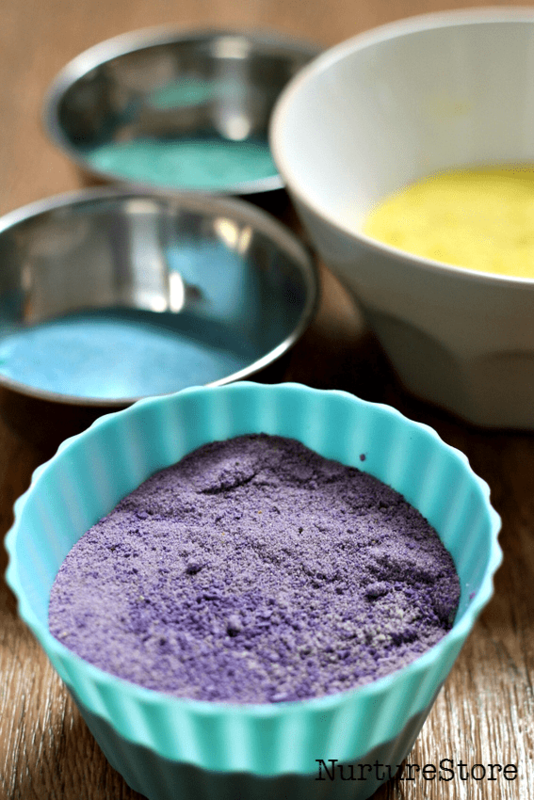 We did find that our bucket of coloured sand which got left out in our Garden Classroom during a thunder storm (oops) also dyed the rain water, but for general play, we love this recipe! 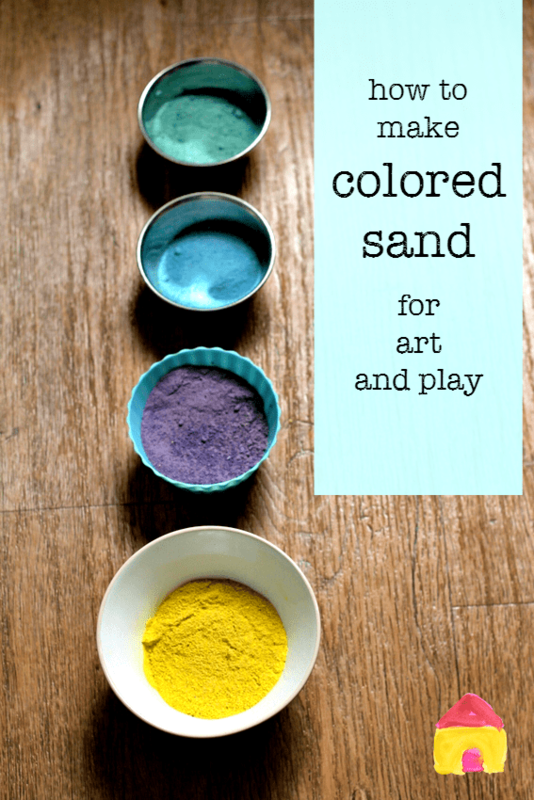 And how can you play with dyed sand? I bet your children will have some ideas. We like to use ours as an alternative to salt in a writing tray. It also makes a wonderful art material. 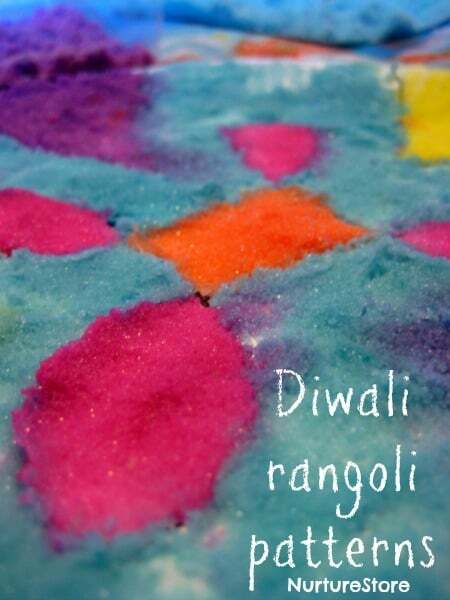 You could try making these rangoli designs. But our current favourite is using it in our outdoor kitchen. You’re meant to try and eat a healthy rainbow of foods, right? Giddy. Can you please tell Me does this fade? We are planning on doing a sand ceremony for our wedding and want to keep this in a jar. Hi Hannah. Yes I think you could. I’ve used food coloring before to dye salt. You need to be a bit careful with which kind of food coloring though. I’ve found some to be a bit oily and they leave a residue, but a food coloring gel, such as Wilton, is a good option. I absolutely cannot get this to work??? from the looks of it, you have used dry fine play sand and just chalk, but I have hammered the chalk down to a fine powder and also tried grating and the chalk doesnt colour the sand at all it just stays on its own in the bowl within the sand, I tried it slightly damp but the bits of chalk are still visible but the sand has dyed slightly? Is there something I am missing? Hi Samantha. Yes, we use dry play sand and grate the chalk straight in, mix it around, and done. The sand and chalk don’t completely combine together, but the chalk mixed through the sand is enough to change it’s colour. I wonder if perhaps your chalk doesn’t have much colour in it? Hi Jan. I guess you could? Let me know if you try it!